Looking For The Best Mic For Voice Overs? Here’s a look at our favorites, including our top pick the – Ultimate Broadcast Bundle. A voice over sounds like a simple enough task to accomplish, right? You just need something that records sound, a computer to upload the audio file, and you’re good to go. Unfortunately, you and I have both heard enough shoddy audio on YouTube videos and in our Facebook streams to know that’s not the case. A well put-together video can be ruined by crackly, feedback-ridden audio. Your audience may not even give your creative work a chance beyond the first 10 seconds if it’s bad enough. The fact is, whether you’re dubbing voice over video, a slideshow, or recording a podcast, you need a quality microphone. The fact that you’re researching this subject means you already understand the shortcomings of using your computer’s or your phone’s built-in microphone, so we’ll skip the lecture on that. Suffice it to say those are good for Skyping grandma and Facetiming mom, but not suitable for professional recording. 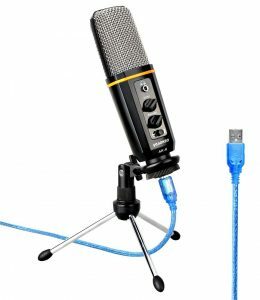 USB microphones – this is your go-to option for simple podcasting and entry-level voiceover work. 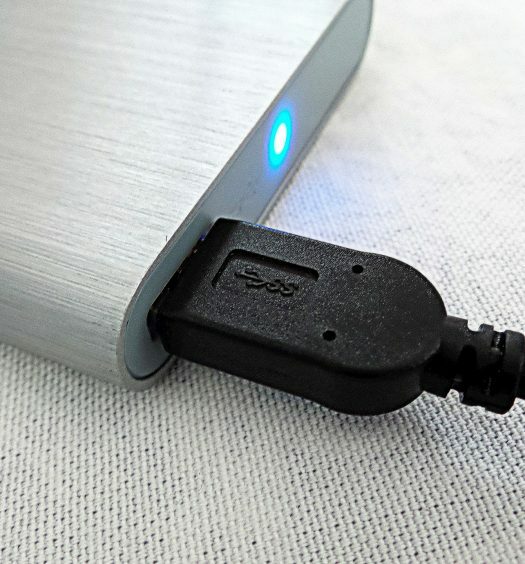 The microphone plugs directly into your computer and is able to capture above-average sound. The microphone pulls power from your computer, and they tend to be more affordable. On the downside, they may not always produce the most consistent sound. And while it’s possible to plug multiple USB mics into a computer, using multiple USB mics can be problematic. 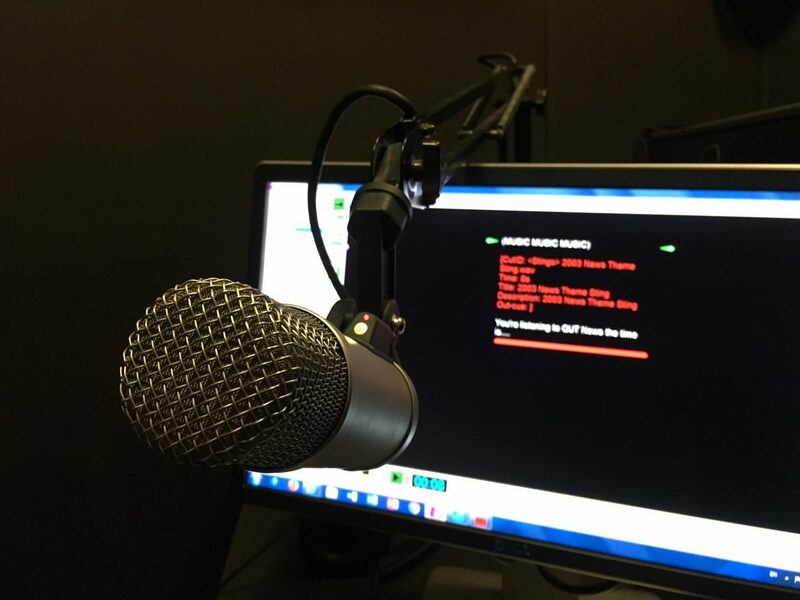 Dynamic broadcast microphones – these are the microphones that you’ll typically hear in radio broadcasts, podcasts, and audio books. They produce a warm and forgiving sound, though they can lack detail in the upper registers. That can be a problem for singers, but it shouldn’t be an issue for voiceovers. You can expect these to produce better quality sound than a standard USB microphone. Condenser microphones – A condenser microphone can record detailed audio with lively-sounding upper frequencies. Large diaphragm condenser mics have the most natural and clear sound, and small diaphragm condenser mics usually have a brighter sound with a boost in upper registers. 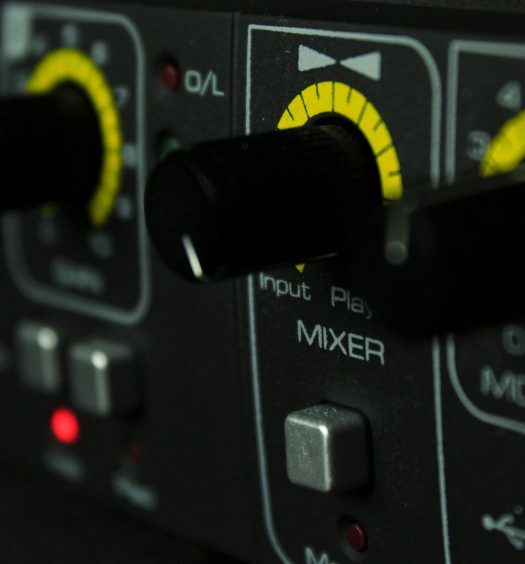 If you can control the room ambiance and you have a grasp on proper recording technique, this will produce the highest quality of sound recording. However, it is less forgiving than a dynamic broadcast microphone. The microphone will be more susceptible to plosive and sibilant sounds or vibration noises. That’s not a bad thing, it just means you need to know what you’re doing and control your environment in order to produce the best possible sound. Using a stand – generally speaking, holding the voiceover mic doesn’t produce the best results. For professional audio that is consistent and even, it’s good to have a microphone stand. Shock mount – a shock mount suspends the microphone, which helps to reduce unwanted vibrations and rumbling. Pop filters – some microphones pick up too much of the plosive and sibilant sounds that we make when we speak (think the “s” in miss and the “p” in pop). A pop filter is a screen that diffuses these sounds. Headphones – this is outside the scope of this article, but it’s important to note that you’ll want a set of headphones so you can hear your audio as you record. If your budget has some wiggle room, this is hands-down the best microphone on the list. You get what you pay for in life, and this product ensures that the premium it commands produces superior sound. It’s truly the ultimate dynamic broadcast mic, so expect warm sound that’s ideal for podcasts, radio, and audiobook recording. 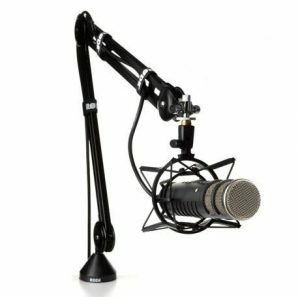 It has a shock mount to reduce unwanted vibrations and rumbling, a studio boom arm for easy positioning, and it has an internal pop filter to get rid of those annoying plosive and sibilant sounds. If you’re looking for a condenser mic with a USB connection for easy computer access, this one’s for you. The MPM-2000U is the best you can get for a USB microphone, and it comes with the crystal-clear recording quality of a condenser microphone (significantly better than a standard USB microphone). It’s studio-quality frequency response and built-in 48kHz/16-bit A-D converter make it a fantastic choice for recording vocals, instruments and percussion. It comes in a compact hard-shell travel case, so it’s easily portable. 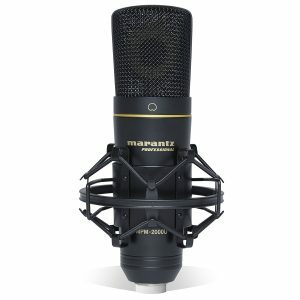 If you don’t need a USB plug-in microphone, or if you already own the necessary equipment to connect a standard mic to your digital access workstation, then this is a great pick. 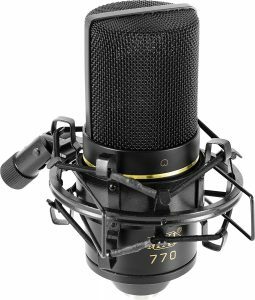 The MXL 770 is a studio-quality multi-purpose small diaphragm condenser microphone. It has a balanced bass response with high end clarity, low frequency roll-off to reduce unwanted rumble, and a low noise FET preamp with balanced, transformer-less output. Expect warm sound with extra clarity on the upper end. The Aekeo AK-6 is a good option for people on a tight budget. Expect full-bodied, rich voice recording, with an ultra-simple plug-and-play setup. This kit is specifically designed for podcasters, though it’s great for any type of simple voiceovers, too. The set comes with the microphone, a stand, and the USB connection cord. If you’re looking for a microphone with some versatility, the Shure SM86-LC is a good pick. It is a handheld microphone, so you can use it for voice recordings as well as on-stage performance. It’s a condenser microphone, so expect highly detailed audio. It has a built-in three-point shock mount, and a two-stage pop filter to reduce wind and breath disturbance. You’ll get maximum vocal clarity, whether your speaking or singing into the microphone. If you’re recording voiceovers and you’re in despearte need of the best mic for voice overs for a podcast or audio book, go with a dynamic broadcast microphone for its warmth. Your listeners will appreciate the smoother voices that these produce. If you’re recording voiceovers for videos or online courses, a condenser microphone may be the ideal choice thanks to its precision and clarity.